Courtesy Healthcare Robotics Lab/University of California San Diego. What happens when caregivers design robots alongside engineers? A team of scientists at the University of California San Diego (UC San Diego) attempted to address this by spending six months co-designing robots with family members, social workers, and other caregivers. "Caregivers conceived of robots not only managing difficult aspects of caregiving--but also for supporting joyful and fun activities," said Laurel Riek, UC San Diego professor of computer science. 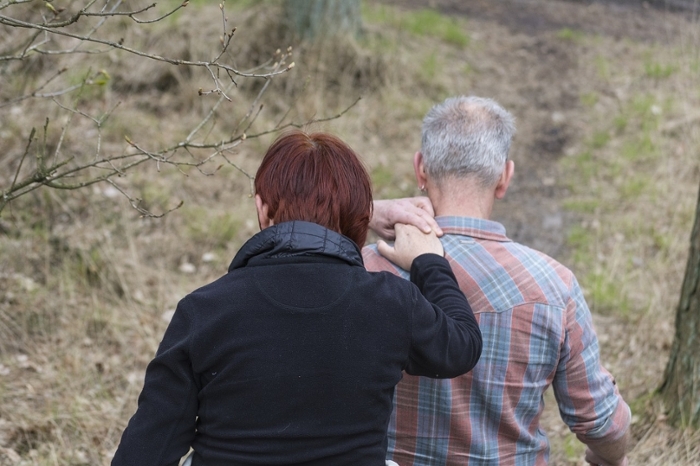 Spouses or adult children provide 75 percent of the care for people with dementia. That’s equivalent to 15 million people in the US alone, providing 18 billion hours of unpaid care per year with little support and few resources. Most technology designed to support caregivers only seeks to educate, rather than to reduce burden. Caregivers may have access to virtual support systems and connections to clinicians via smartphones or desktop computers, but again this focuses on education and not direct assistance. "It is imperative researchers take a community-health focused approach to understanding stakeholders' perspectives prior to building the technology," Riek said. "Especially in healthcare robotics - one should not walk in with a technology hammer." A series of interviews and hands-on workshops with caregivers were conducted by two UC San Diego undergraduate students Sanika Moharana and Alejandro E. Panduro and computer science postdoc Hee Rin Lee. 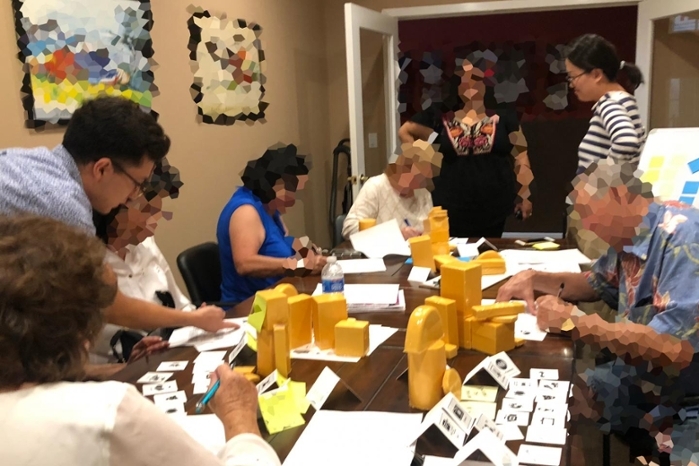 A total of 18 people participated in the research, including family members who acted as caregivers, social workers who led the day care centers, and geriatric nursing students. In the workshops, the researchers gave caregivers a brief presentation about the types of technologies available today, including pet-like robots, cleaning robots, telepresence robots, smart speakers, and wearables. 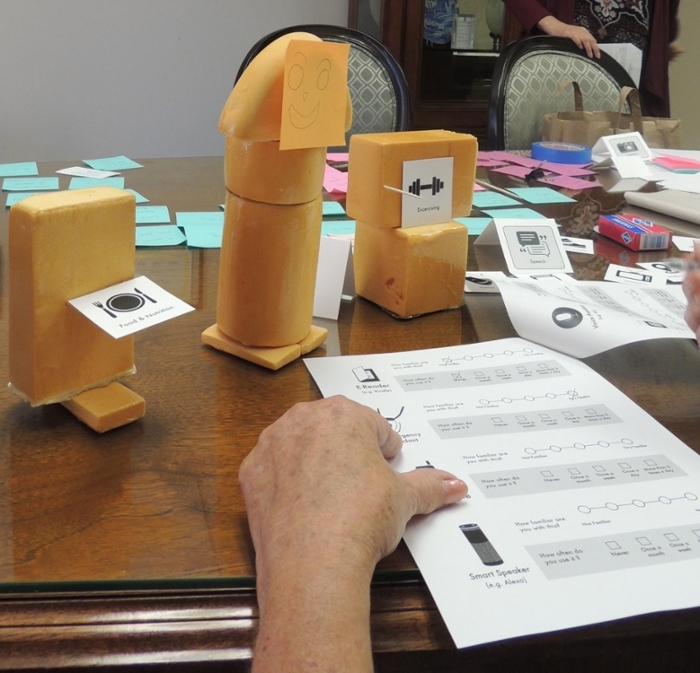 The caregivers selected key problems and co-designed robots to tackle them. They also selected functions for the robots (such as playing games, reviewing photo albums, exercising, etc.) and a mode of interaction (e.g., voice commands and touch screens). 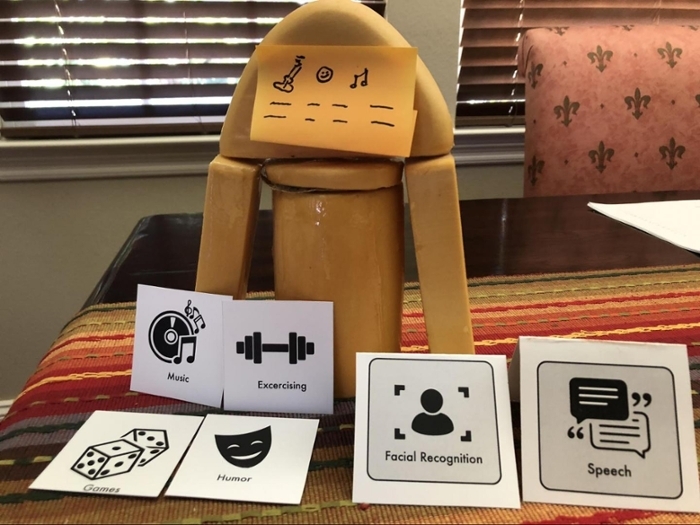 Caregivers designed their ideal robots to follow predetermined scenarios, including preventing a person with dementia from driving, getting them to bathe, or answering repetitive questions. Robots should be integrated into everyday objects that people with dementia are already familiar with, or borrow features from those objects. For example, one caregiver wanted her husband to get messages through the TV, which he spends a lot of time watching. Robots should be able to adapt to new situations and to the behavior of the person with dementia. This is particularly important because dementia is a progressive disease and each stage brings new challenges for caregivers. Robots should be able to learn from end users, and customize and personalize their interaction and responses. Robots should have human-like components. That is not to say that they should look human. Rather the machines could, for example, use a real human voice or face. "When caregivers wanted robots to take active roles in persuading people with dementia to do something, they designed robots with more human-like features," the researchers write. Robots should interact with humans via voice activation—much like a smart speaker. More specifically, caregivers wanted the robots to use voices that their loved ones would be familiar with. Caregivers also wanted robots to be capable of facial recognition. Read the original article from UC San Diego.